I work for Radio Auran Aallot, Radio Melodia and Zoom FM (local commercial stations in Turku). I moved the stations from Turku city centrum to new Turun sanomat multimedia centrum in Artukainen (new city cetrum) on 28-29.7.2011. So, no time to monitor FM-band. R.A.A. and Melodia moved, Zoom FM 93.4 (50 Watts) was closed down for 2-5 months to restart later with full 1 kW power on 99.0 MHz. There were Italy opening on Wed (28.7) evening and some Turkey/Balkan on Friday (29.7) afternoon. On Tuesday 26.7.2011 Southern Italy opening was up - mostly to Rome, later to Emilia Romagna-area again. Several new Rome-stations were audible even above 100 MHz. Radio San Marino also gave id on 102.7, long time since last time to hear that station, also Vatican Live on 105.2 MHz. On Wednesday 27.7.2011 not much time to listen, but this was not a good day anyway. 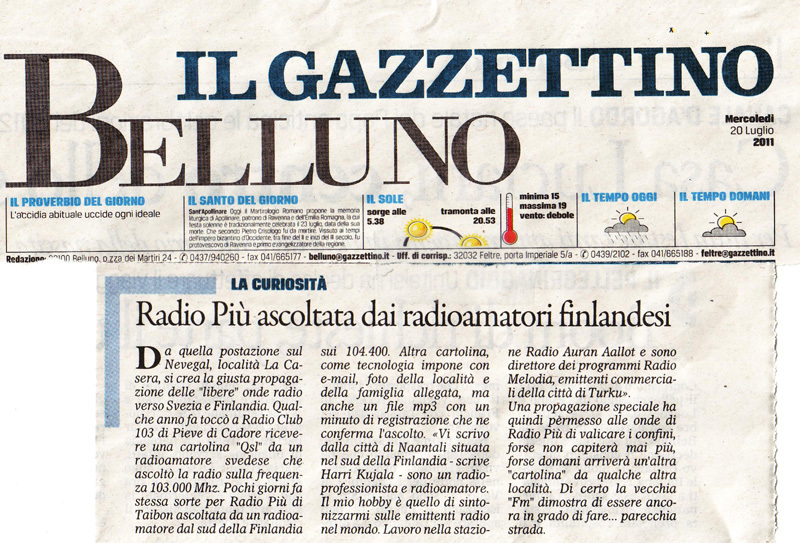 In the evening several Greeks (ERA-freq's) and Italian stations were up (Radio Alfa from MN on 88.8 MHz). I got a new antenna for 6 meters amateur radio band (5 elements yagi to 45-55 MHz). It is made by OH1ZAA (Zaba), wellknown radioamateur from Pori, Finland. The antenna works very well !!! I heard my first low power STL-links (=Studio-transmitter-links) from UK. My receiver is Realistic Pro 2006 (It is OK, and cheap as 2nd hand, but a nightmare to use). 48.425 - 1821- G: UNID from England. No id heard. 52.750 - 2021 - G: Bridge FM, Dundee, Scotland. Hosbital station in Dundee. Quite big signal! Still 5 Watts only? 52.925 - 1823 - G: Trust AM, Nottinghamshire. On Sunday afternoon, after 11 days silence, FM-band opened to Middle East !! Very interesting opening to Lebanon, Syria, Israel and Iran !! Several id's were clear but most of the stations remained unidentified. Arabic stations have much talk and music with rare station-id's. After arabic some Turkey popped up, mainly from Istanbul and Zonguldak (close to Istanbul). 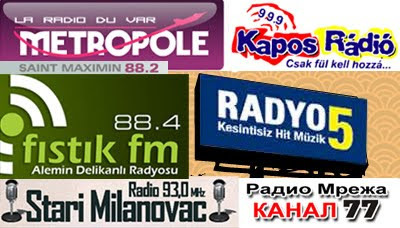 Between Turkish stations some Ukrainan, Romanian and Bulgarian stations appeared with strong signals, and Moldova, too. MUF was over 100 MHz only several short moments. 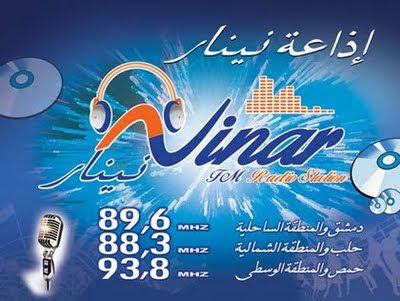 89.600 - 1236 - SYRIA: Ninar FM, Nice id's in English!! 90.800 - 1235 - LBN: Sevan FM, Beirut. RDS + audio-id. 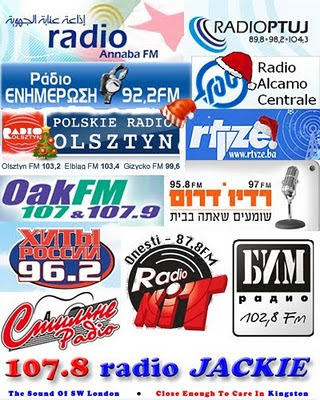 91.400 - 1241 - UKR: Radio Alla with local id to Odessa. 91.800 - 1241 - UKR: Radio Shanson with local Odessa-id. Also Radio Gala on 91.0, Sharmanka on 89.5 and FM Odin on 87.5 MHz. A lot of Ukrainan signals above 100 MHz but I concentrated on Arabic on lower band. 92.300 - 1337 - TUR: Lig FM, Istanbul. 94.500 - 1339 - TUR: Rock FM, Istanbul. 94.500 - 1314 - TUR: Radio Saranya, Saranya. 2nd time this summer! 94.700 - 1304- MDA: Prime FM, Kishnev. RDS. Ex-Antena C.
94.700 - 1332 - ROU: Doina FM with music and RDS but again no id. 95.300 - 1345- TUR: Slow Türk, Istanbul. 95.800 - 1340- TUR: Bayram FM, Istanbul. Highest Istanbul station was on 96.0 MHz. 97.300 - 1352 - BUL: R Veronika, Varna-tx. Wednesday 13.7.2011 bought rare signals from Sicily (Italy), not long lasting but anything is wellcome from southern Italy. Only two stations were heard from Sicily, but also some other new italians for me from the continent. Before south Italy the band was full of Emilia Romagna-stations (Bologna, Modena, Ferrara, Parma etc). This are is the most common area to receive here since all time (from whole Europe). I think I have heard 95 % of possible stations from that area - and the rest are on very difficult frequencies. Also some Balkan stations were up, but strangely only on a few sporadic frequencies. Radio Kosova (95.7 MHz) was also audible with RDS, quite rare lately. 89.300 - 1646 - + I: Tentative: Radio Italia Anni 60 Trapani, Marsala (TP). Two adverts to Marsala before blocked by another Italian. 92.200 - 1637 - I: Radio Tua Punto Due, Ancona (AN). 92.900 - 1700 - SRB: Radio S, Beograd. I visited this station several years ago. 93.000 - 1632 - HRV: HR Otocac. Heard on 107.6 before. 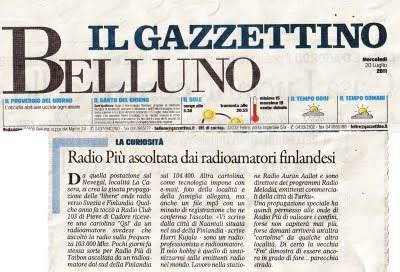 94.700 - 1615 - I: Radio Gamma, Savignano sul Rubicone (FC). There are several independent Gamma's in Italy and this is the most common. 94.700 - 1626 - I: Radio Fiesole 100, Firenze (FI). 95.700 - 1715 - KOS: Radio Kosova, Pristina. RDS. 95.900 - 1617 - I: Radio Milano TV. Ex-Rete 96 ja ex-Milano Marttima. Some kind of art-station. 97.000 - 15.44 - I: Radio Nettuno, Bologna (BO). 97.400 - 1708 - + I: Circuito Radio7 Basilicata, Muro Lucano (PZ) . Local news: "GR regione Basilicata". Myös RDS: "RADIO 7" "RETE" "SUDAUDIO". Some kind of network with independent stations. 97.500 - 1529 - I: Radio Sound, Codigoro (FE). 97.800 - 1637 - + I: Radio Azzurra Marsala, Marsala (TP). Nice new suprise from Sicily with multi-skip. 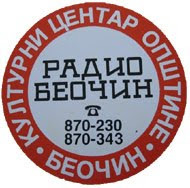 97.800 - 1703 - + SRB: Radio Beocin, Beocin (Voj). European Top 44-px! 97.900 - 1610 - I: Radio Record, Sant'arcangelo di Romagna (RN). RDS-id. 98.500 - 1717 - I: Radiosa, Matera (MT). RDS and simple audio-id. 99.000 - 1524 - I: Teleradio Veneta, Legnano (VR). "T.R.V" + telephone-number. 99.900 - 15.55 - I: Radio Venere, Monzuno (BO). A little bit more processed jingle than italian usually have. 102.000 - 1527 - I: Modena 90, Modena (MO). Heard on 107.4 on previous opening. 103.100 - 1544 - I: Radio Monte Kanate, Salsomaggiore Terme (PR). 103.500 - 1546 - I: Radio Venezia, Mestre (VE). Nice surprise this one, too. Not so many stations in Venezia today. 104.200 - 15.48- I: Veronica My Radio, Pesaro (PS). There were also opening on Friday 8.7.2011. It was weak in the afternoon to Italy (40 min) and later in the evening to England and Ireland (20 minutes). Only several local stations were id'ed but nothing new for me. Wednesday evening 6.7. bought the strongest opening so far this summer. Unfortunately the condition area was too large. At the same time whole Europe was coming up, only Turkey and UK were out! FM-stations from 25 countries at the same time! Lasted 4 hours (last 2 h were mostly Romania). On most of the frequencies were 10-20 stations pushing up at the same time from almost every European country. This kind of situation gives white noise, dozens of stations are fighting on one frequency and the result is only noise (receiver's signal meters are peaking on highest level all the time but you hear only noise). This opening was not the worst I have expereinced. There were still some high-power transmitters up and audible, but stations were changing all the time on one frequency and were very difficult to id. Less than 1 kW stations are mostly not audible because highpower transmitter from some other country blocks the channel. Also RDS-signal-ID is useless during this. Usually during white noise-opening we do not get RDS-signals out because stations interferere each other so much. Strong signal from the same or adjacent channel blocks RDS-datas. 92.400 - 1759 - SVN: Val 202, Ljubljana on 3 diff frq !! 94.700 - 1914 - ROU: Radio Doina, Constanta. Long time with rds. 95.800 - 19.38 - ROU: Radio Delta, Tulcea. + a lot of romanian networks all around with a lot of dance music, mostly Pro FM. 96.500 - 1621 - SRB: Radio Beograd 2/3. 97.900 - 1823 - BIH: Radio Valentino, Bijela. 104.900 - 1755 - POL: Radio Eska, possibly Wroclaw. 104.900 - 1613 - AUT: Antenne Kärnten, Klagenfurt. 106.700 -1828 - RUS: Retro Radio, possibly local ads. 106.600 - 1621 - + HNG: Lánchid Rádió, Budapest. New relay on 106.6. 106.600 - 1704 - POR: UNID Portuguese !! Wednesday morning gave weak signals from south: Romania, Hungary, Croatia, Crete (Iraklion). Very weak and short-skips. 87.800 -09.54- HRV: Radio Dalmacija. 87.800 -09.45- ROU: Radio Brasov "RADIO BV"-rds. 87.900 -09.40- GRC: Erotokritos FM, Iraklion. From Crete! Highlight of the day!! 88.300 -09.43- HNG: Clear id with frq-announcement but not found this station! Tuesday afternoon and evening was very extraordinary. Middle-East is very rare to receive here in SW Finland (more common in East Finland!) but on this day I heard Jordania Main Programme with RDS on 95.8 MHz !! Also Lebanese stations were strong on several frequencies! Great! After arabs conds moved over Europe giving occasional signals from Romania, Bulgaria, Czech, Moldova and Austria - not big signals, short-timed and scattered. Finally the clouds moved to UK-position, not high MUF but for some moments around 97 MHz. The highlight was RSL-station Pride Radio from Newcastle on 87.9 MHz !! This is 30 days station for Gay Pride Festivals! So, the power of this station is around 10-20 Watts only! Also many London pirates were audible: Impact FM 87.5 MHz (from South Coast of England) and tentatively 87.9 MHz (Shine), 89.6 MHz (Klick?) and 90.8 MHz (Lightning?). These were audible for the longest time. Tapes not cheked yet. Also several Benelux-frequencies were open but unfortunately no pirates from Holland!! 87.500 - 1038- G: Impact FM 87,5 Mhz, Southern Counties. From Southern England (Surrey, Sussex, South Coast). 87.900 -1051- + G: Pride Radio, Newcastle. Gay Pride Festival Radio. On air 20.6 - 17.7. These kind of RSL's have usually only 10-20 W power! 88.300 -1707- BUL: Radio Stara Zagora, Stara Zagora. 90.200 -1708- BUL: Radio Bella, Petrich. 91.900 -0630- LBN: Radio Al-Nour, Beirut. Later also on 91.7 with stronger signal. Lebanese also on 88.3 and 88.7 MHz. 92.900 -1713- GRC: Kiss FM, Athens. 94.600 -1730- GRC: Akroama FM, Serres. 95.800 -0630- JOR: Jordan Radio Main Programme, Amman. With RDS! Sat 25.6.2011 - Short Turkey, Ukraina - 15 W RSL-reply! This season has been very poor so far. Only one good opening (and I missed it)!! Also not good conditions in Utö-pedition. Today there were tiny opening to Samsun-city in North Turkey. Unfortunately only lower-band signals. No MUF above 94 MHz. Also some Ukrainan stations shortly. 88.000 -0819- UKR: R Dacha. Simferopol-tx. 88.400 -0806- TUR: Fistik FM, Samsun. Very long commercial-break!! 88.800 -0805- TUR: Metro FM, Istanbul. Samsun-tx. Rolling RDS: "METRO FM" "SAMSUN". 89.500 -0821- UKR: R Sharmanka. Gave tel for advertisers. 93.900 -0805- TUR: TRT. "Reklamar"-jingle revealed this to be TRT. 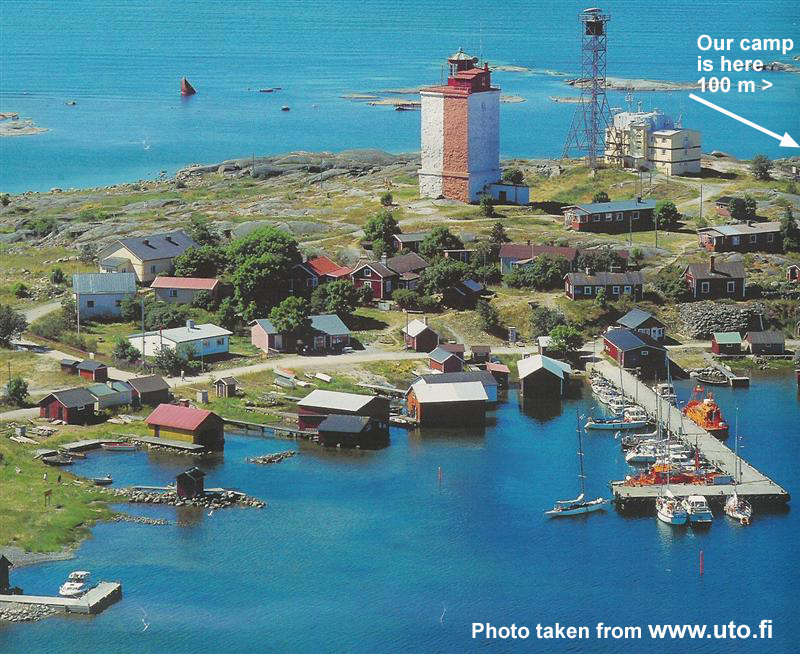 In Utö I received British low-power RSL-station (on the air only for one month!) and I got a reply! 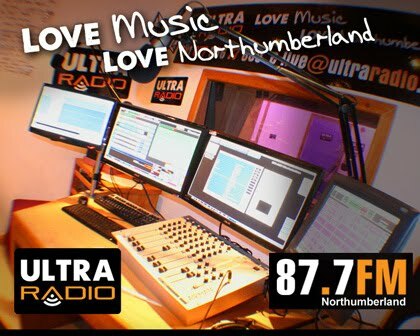 Ultra Radio from Morpeth (NE England, near Newcastle) on 87.7 MHz verified my mp3-clip. They told their brodcasting power is only 15 Watts !! That is my new record! 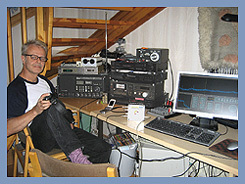 (Previous record was 25 Watts, Ruthland Radio 97.4 MHz). I am listening in Utö-island with 7 other listeners till 19.6.2011. Conds started from Adapazari and moved slightly to Istanbul. 87.800 -1155- TUR: Radyo 34, Istanbul. Adapazari-tx. Later on 88.0 MHz. 88.200 -1158- TUR: Lalegül FM, Istanbul. Unlisted frequency. RDS. Also heard on 88.4 when area moved to Istanbul. 90.300 -1221- TUR: Kocaeli Radyo Sahin, Kocaeli (Mam). Jingle an ads. 91.600 -1231- TUR: 91.6 Türkiyenin Haber, Istanbul. Station gives id: "91.6 - Haber". Ex-Radyo 24. 91.700 -1237- + TUR: Radyo Gül, Gebze (Koc). RDS-id and adverts. Bulgarian went over just in a dramatic moment to have also audio-id. 94.000 1203- + TUR: R Aktif, Adapazari (Sak). My 3rd different Aktif from Turkey, but this is not a network. 94.500 -1157- + TUR: R Sakarya, Adapazari (Sak). Simple jingle between music. 95.400 -1136- + TUR: Gebze FM, Gebze (Koc). 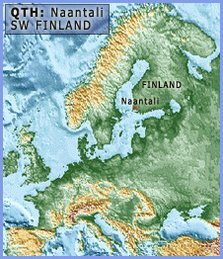 I got e-mail and sms-message from this station for my message of their signal in Finland! Also IDed Viva, PAL FM, Kral Pop, Kral Türk etc. 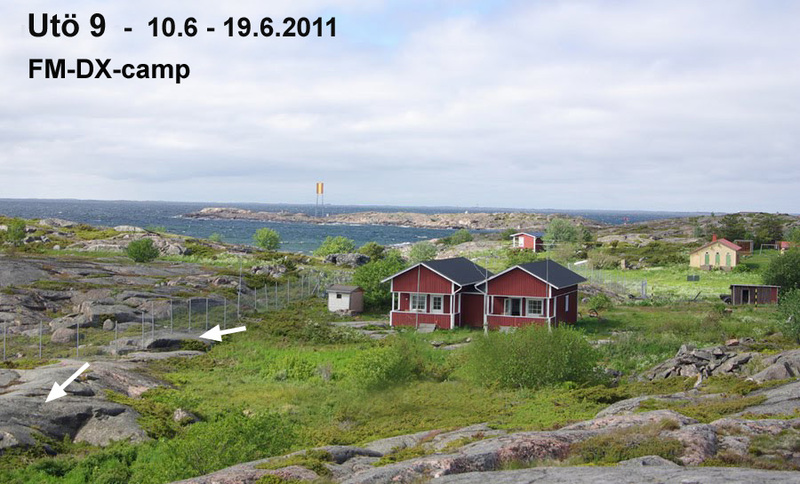 I will join to the traditional Utö-FM-pedition for the 5th time this summer (previous 2004, 2008, 2009, 2010). 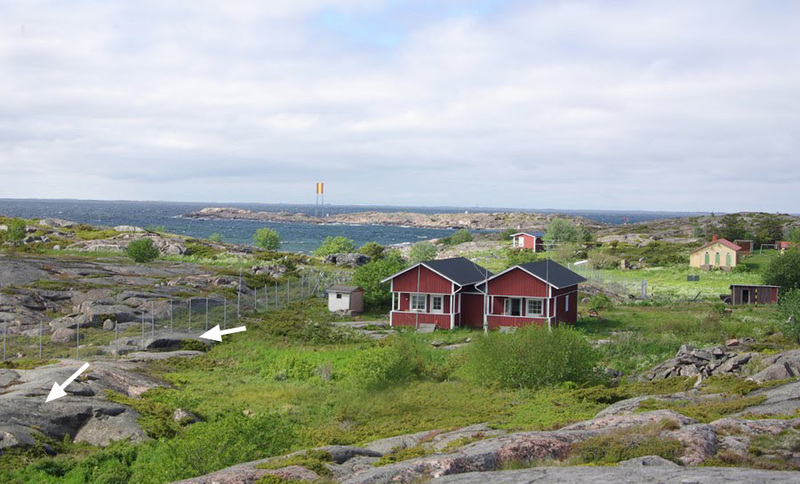 This will be named as Utö9. The camp is on from 10.6 - 19.6.2011. We arrive late Friday evening by m/s Eivor. There will be 8 listeners this year; last year crew + Juha Ylönen from Central Finland. I started my FM-DXing in the 70's. Till the end of the 70's decade we used Finnish traditional Heteka-beds as antennas. 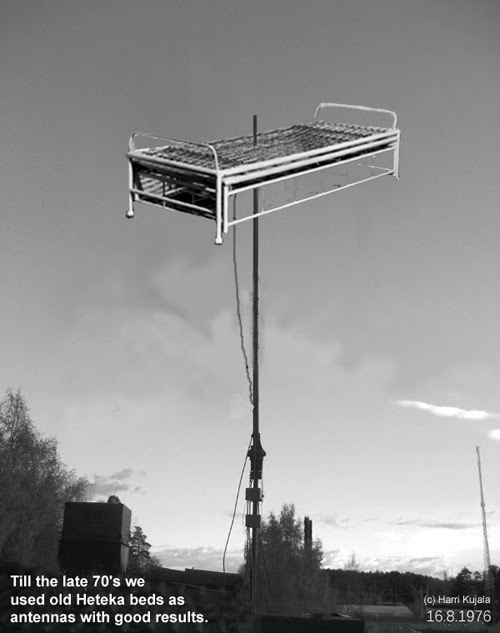 Here is one historical photo of my old 1-element Heteka-antenna - my grandmother's old bed as antenna! We had excellent results even with 1-element. In the end I had 3-elements (laminated, 1977). The negative point was that it usually gave extra creaking sound to the recordings (during heavy wind). Click the photo for better view. We are waiting fro the BIG BANG-opening - not seen yet this summer!! Moderate cond-days continued on Tuesday. Strong signals to Italy in the morning, very weak to France in the evening. 88.000 -1744- F: RCF Vendée, La-Roche-sur -Yon (85). "Vous écoutez sur RCF Vendée dans émission Grande de Sambles...". Local-id just during that minute when it was up. Weak signals from Bretagne for 45 minutes. Short peaks. 88.200 - 1723- F: Radio Caroline, Pontivy-tx (56). Chérie FM 90.8 and FUN 94.1 from this same city. 88.300 - 1723- F: MFM. Also on 88.8. 89.300 -0620- HRV: Novi Radio, Zadar. 3rd time this summer! 95.600 -0655- I: R Marte, Napoli (NA). The only new for today. 97.300 -0652- I: Antenna Adriatica, Termoli (BA). RDS-id and spots. Weak May conditions continued on 28.5.2011. Nothing special. I heard only one new station for me. 88.1 - 1742- SRB: Station from Valjevo. Must be pirate, strong 50Hz hum in audio. 88.2 - 1702- ROU: Europa FM. 88.3 - 1705- ROU: Radio OK, Ploiesti. Only RDS with music. 89.1 - 1735- SRB: Star FM, Cacak. Only new station today. 90.o - 1738- UNID: Radio Marija. From Albania or Serbia. RDS only. 91.0 - 1710- BUL: Darik Radio. Wednesday evening 25.5 gave again weak but interesting signals - now from Turkey and far away Greece, Samos and Rhodos (very rare here). += first time in Finland. 87.900 -1629- I: Love FM, Bari (BA). This network is spreading. 88.000 -1635- + GRC: R Ena, Rhodos. Fading in and out for long period but luckly came up for id. Very nice surprise. 88.000 -1630- GRC: R 34, Istanbul. Big and dramatic Burasi-id. 89.400 -1607- TUR: R Damar, Istanbul. Ex-Yasam. 90.200 -1605- TUR: R Turkuvaz, Istanbul. The only one with RDS. 91.700 -1625- + TUR: Aktif FM, Aliaga (Ege). Giving id as "Aktif Radyo" (2x). Distance to Izmir only 40 km. After two minutes ERA Net Samos-tx came up. 95.600 -1621- GRC: Tentative: Anemos FM, Samos. Supermarket-ad to Karlovasi in Samos. Once again May-evening opening. Not strong signals but some new catches for me. This evenings's highlight was Marseille-opening, but unfortunately nothing new from there. 87.900 -1702- F: R Maritima, Marseille (13). Long time with strong signal. but no sign of other Marseille-stations, only 90.0 Skyrock Sud (supposed) was audible well but with no local content. 88.400 -1730- F: LFM, Lausanne. 88.700 -1520- HRV: R Nasice, Nasice. 88.900 -1532- BIH: Ljubic R, Prnjavor. 89.400 -1546- I: R Centrale, Montorio al Vomano (TE). Up twice. 90.000 -1526- I: R Torino International, Torino (TO). Romanian language station in Torino!!! Big surprise to hear Romanian and Italian spots in a row. ID in Romanian and Italian. 90.200 -1537- HRV: R Vallis Aurea, Pozega. Rolling RDS-PS was corrubted for long period but finally audio-id released. 95.700 -1613- I: R Voghera (PV). Up 10 minutes. Also I identified old familiar stations: Radio Zeta 102.8, Gamma Pavia 89.6, Radio Milano 89.6, Radio Amica 88.4 , Radio Veronica 93.6, Radio Fantastica 89.3. This season's first opening was very good, on Saturday, mainly to France. In the first place I hunt new stations for me, or never-heard-before-in Finland ( + = in the log). That makes this more interesting, to have challencies. 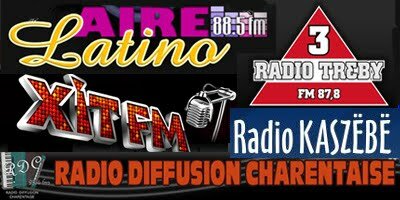 The interesting point of this day was that I idenfied 6 different French private stations on 88.8 !!! (Of course dozens of TDF-Radio France transmitters were audible around the band and I identified many Virgin, NRJ, Nostalgie etc. networks with no local content). 87.800 -1110- I: R Voce nel Deserto, Rovigo (RO). Blind-recording. 87.800 -0926- F: R Star, Montbeliard (25). Blind-recording with rx n:o 5. First SWR Baden-W, then France Bleu Bourgogne and finally this as new station. 88.000 -1800- GRC: ERA NET 105,8, Thessaloniki. The only identified on Sunday 22.5. Popped up from noise for 1-2 minute skip. Only stn on the band. 88.100 -1140- D: R Galaxy. Kempten-tx. Network px. 88.100 -1141- D: Hitradio RT 1, Dillingen. Only words "RT Eins" heard over Galaxy! 88.100 -0738- SRB: R Dedal, Grocka. I visited this city (and X Radio, now closed) exactly 3 years ago. 88.200 -1140- D: RSA,Oberallgau. Only RDS, no talk. 88.300 -1137- CZE: R.Egrensis, Cheb. Kiss Hady from Czech in the morning on this frq. 88.300 -1025- + F: R Campus, Orléans (45). 88.400 -0752- BIH: R Slobomir, Bijeljina. Id: "Slobomir FM". I've heard this tx before under name Radio Step. 88.800 -1130- D: Rock Antenne, Ismaning. Slightly over noise for long time. Strange skip. 89.200 -1043- F: R Plus, Etampes (91). Unreal moment: I turn receiver to 89.4 and I see "PLUS FM"-rds (Blois, 41, heard before). I turn immedeately to 89.2 MHZ where I can id another Plus, Radio Plus! 90.200 -1032- F: VAG FM, Artenay (45). No reply from this station before. 21.5. 91.300 0949- F: R Dreyeckland, Selestat (67). 91.600 -1047- + F: Chérie FM Centre-val de Loire, Saint Avertin (Tours). Long local-id. On 95.7:lla I saw Chérie FM Nancyn local rds: "RDS 95,7". 92.800 1008- F: R Bresse, Le Bourg (71). RDS-level. Replied with letter + CD etc last winter. Thanks!! 94.500 -0912- F: Triage FM, Migennes (89). 95.400 -1040- + F: EvryOne, Evry (91). RDS- ("EvryOne" small letters) + audio-id. 95.600 0925- SUI: Yes FM, Geneve. Ex-Lac FM. 95.800 1038- F: 77FM, Meaux (77). 97.700 -0915- F: R Nohain, Nevers (58). 106.000 -0937- F: Sud Radio, Toulouse. Bordeaux-tx (33). 107.600 -0936- + SUI: RTN, Marin. French lang station. Nice surprise from upper band which I checked only 2-3 times.